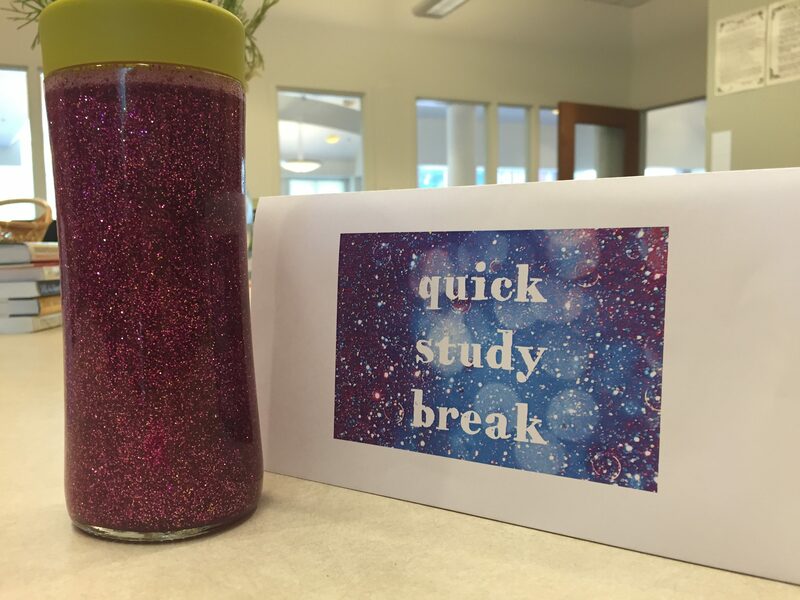 As we enter exam week, it can be easy to allow the hectic pace to affect our own mood and well-being. 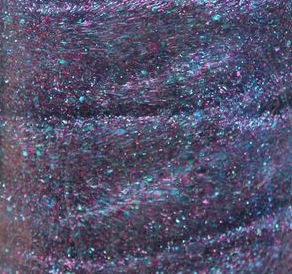 When the end-of-year panic starts to set in, take a break from your work and stare into a swirl of soothing, peaceful glitter. 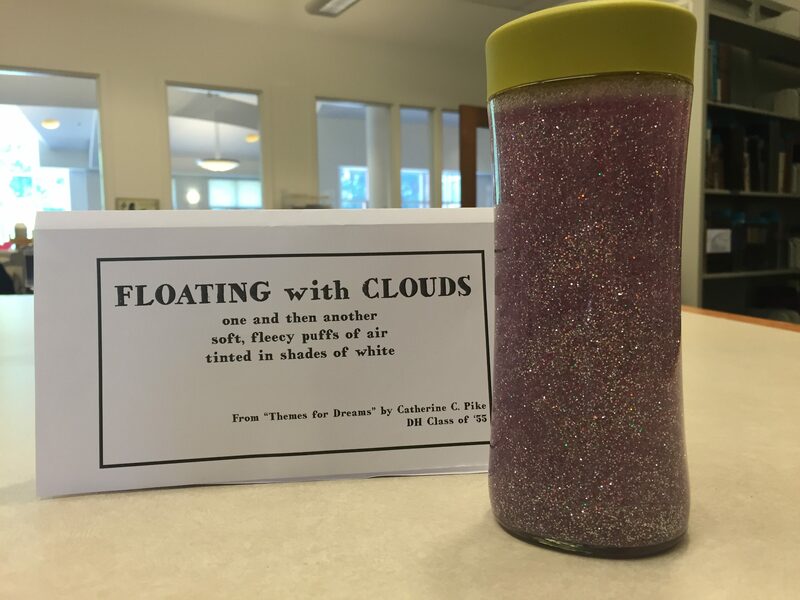 Scattered around the library are several of these calming jars, which, when shaken, become a whirling tornado of momentary zen. Watch just long enough for the glitter to settle back to the bottom, and you’ll find that your heart rate has gone down, your muscles have relaxed, and your focus is renewed.